With this option, you can select the element that should be linked to. Elements in the diagram that cannot be selected will have this symbol. 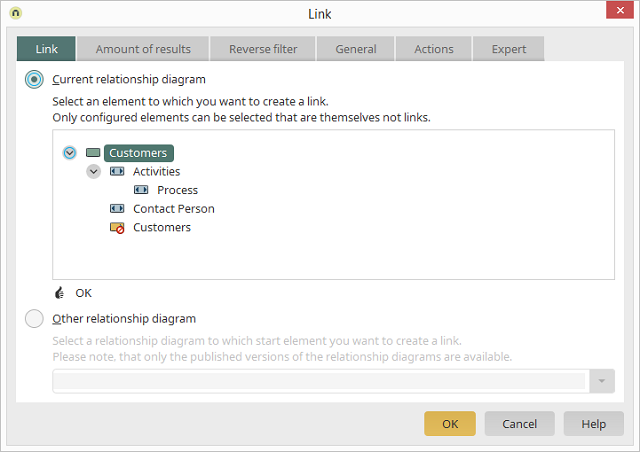 With this option, a different, already published relationship diagram can be selected. A link will be created to its starting point.